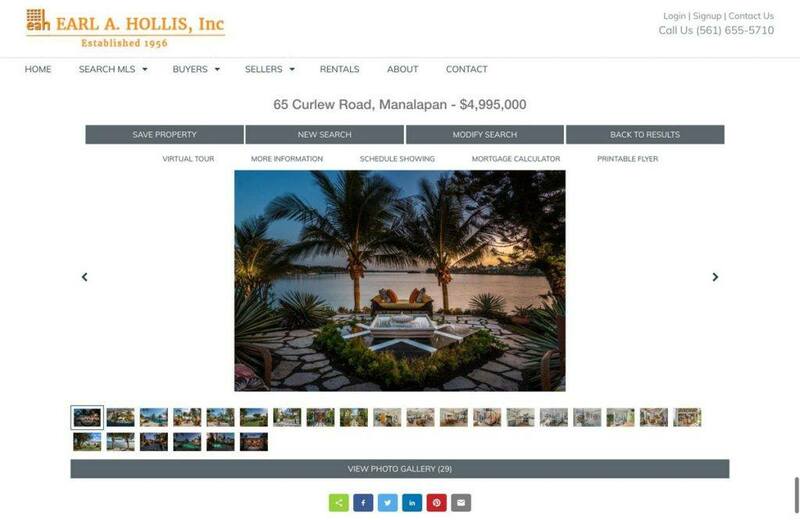 This is a Mobile responsive, custom WordPress website that Netmagik designed and developed, including IDX Broker custom integration for it’s MLS content. 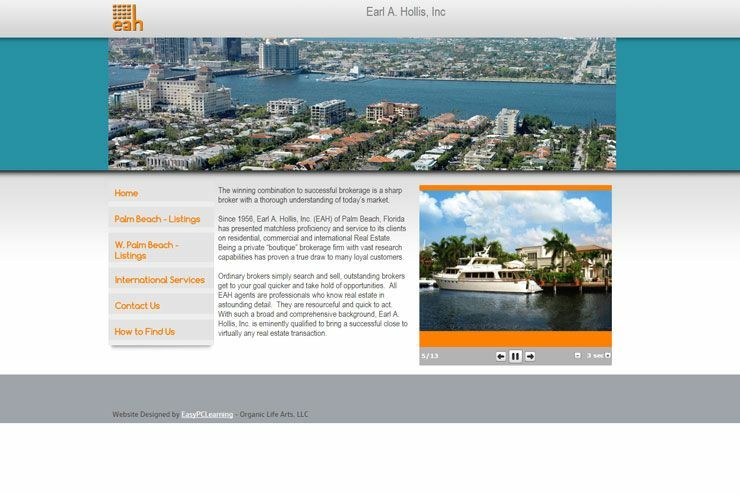 The goal was to create a simple, clean and elegant way to display MLS listings and capture leads. IDX Broker custom integration offers advanced search for residential, rentals, commercial, business and land listings. All results are automatically updated from client’s MLS data. 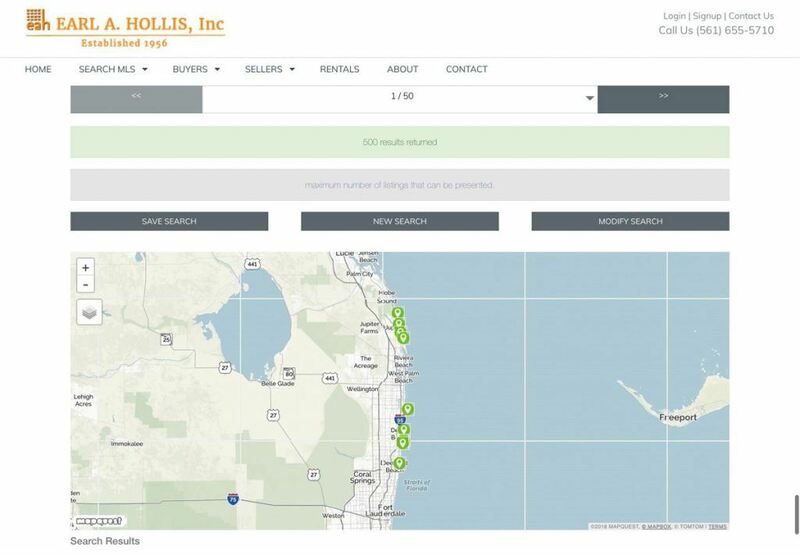 Search fields were customized based on client’s requests, such as pets allowed, waterfront, short sale and search by area schools. Results display was customized to offer area map, market trends in selected zipcode, schools, walk score, printable flyer, mortgage calculator, and more. 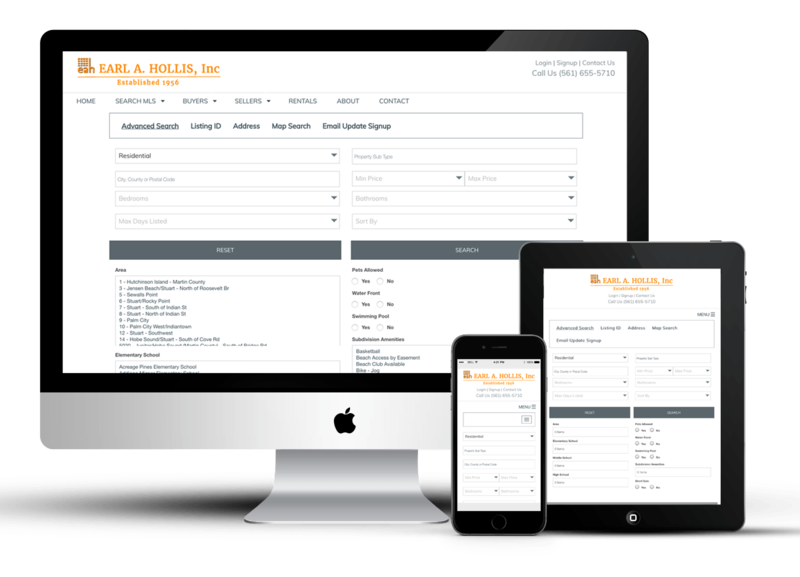 Leads are able to schedule showing via contact form, contact Earl Hollis, save a search, sign up for new listing alerts, and receive a detailed home valuation report. 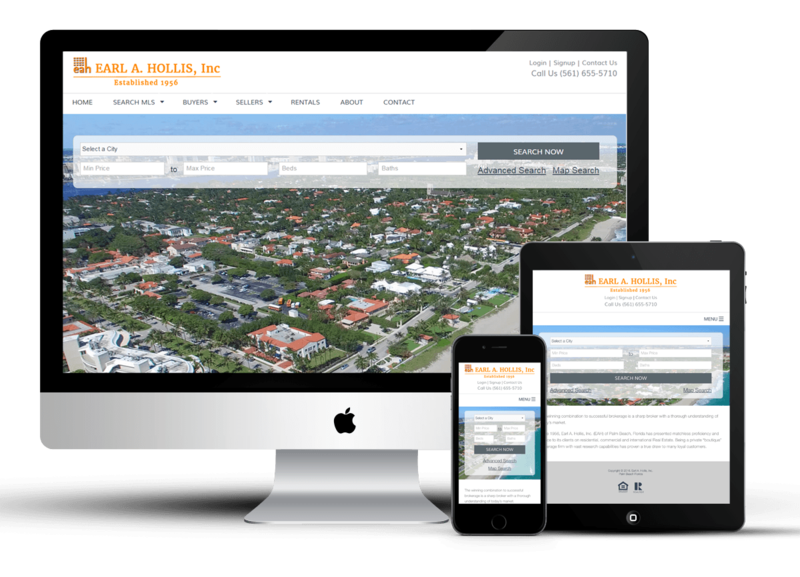 Custom search pages were created for waterfront, golfcourse and rental properties. Leads are able to receive automatic email alerts with new listings, based on their saved search or saved property data. Map Search offers the visual flexibility to the customers to search on a map, based on certain criteria. For example, oceanfront only. 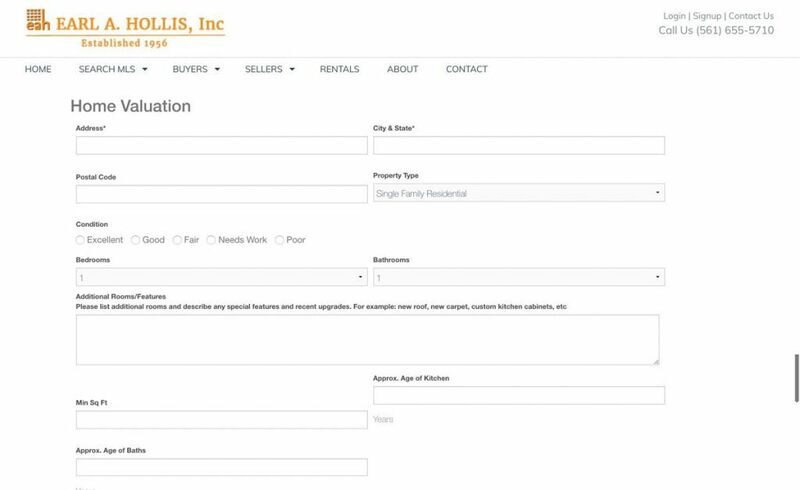 Property details are displayed, showing the photos, address, upcoming open house, interior and exterior features, location information, financial details and area information, such as the schools it’s zoned for. There is an option to schedule showing, view virtual tour, calculate mortgage payments and download a printable flyer. Home Valuation form works well for capturing potential leads. As customers submit information, the agent receives an email with the contact information to follow up.